A sit-in was held inside the school Monday morning and hundreds of students walked out of class Tuesday morning. For two consecutive days on Feb. 26 and 27, students at Cherry Hill High School East left class to protest the placing of a popular history teacher on administrative leave as well as raise concerns about school security. In a phone conversation with The Sun on Monday, Cherry Hill East history teacher Timothy Locke confirmed he was placed on administrative leave, but he declined to make any further comment on the issue. In comments published on Philly.com, Locke said he was placed on leave after one of his history classes discussed the Florida shooting and a student became upset. Locke also said in the story he was only concerned about the security in his own school. School officials declined to comment on the matter, stating it was a personnel issue. After Locke was placed on administrative leave, Cherry Hill East senior Justin Prechodko, a student in one of Locke’s AP world history classes, decided something had to be done. He spent the weekend of Feb. 24 gathering support for a school sit-in to take place on Monday, Feb. 26. On Monday, Prechodko passed around a paper petition and said he gathered more than 500 signatures throughout the school day. The students conducted a sit-in inside the school hallways early on Monday. Shortly after the sit-in began, Prechodko said an announcement was made Cherry Hill East Principal Dennis Perry would meet with students for a discussion in the school’s auditorium. Prechodko estimates the discussion lasted a little more than hour and produced little insight into the issue. In a video of the meeting, Perry is seen telling the students he was unable to talk about personnel issues regarding a specific staff member. During the day, Perry made a statement where he threatened to withhold participation in the senior trip, senior prom or graduation for anyone participating in the protest. 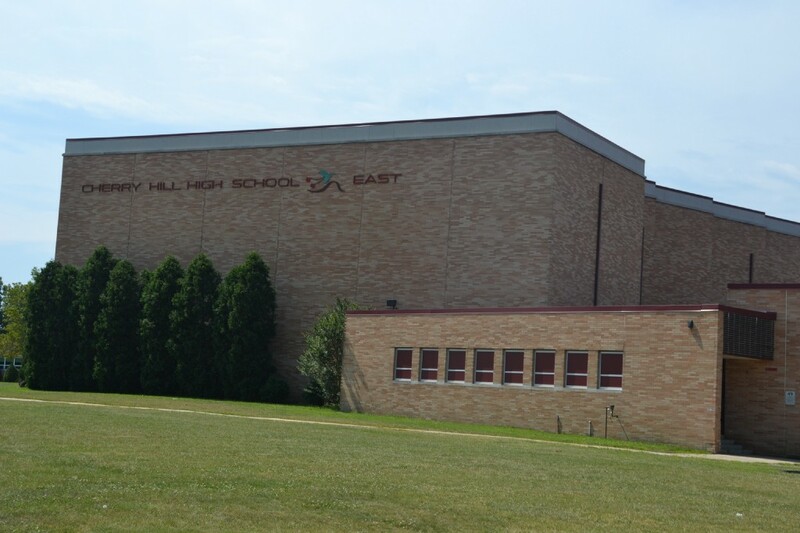 The next day, in a letter addressed to the Cherry Hill East community, Perry retracted his statement and thanked the students for conducting themselves in a respectful manner. Students were not satisfied with the answers they received Monday and staged another protest on Tuesday, Feb. 27. This time, hundreds of Cherry Hill East students walked out of the building around 8 a.m. and remained outside for more than an hour. Junior Anthony Gambino, one of the many walkout participants, is a student in one of Locke’s AP world history class and spoke highly of him. As part of the walkout, students gathered at the 50-yard-line of the football field and had a moment of silence for the victims of the shooting in Parkland. Gambino said it was the first moment of silence they had following the shooting at the school. In a letter written to the Cherry Hill East community, Perry said some students joined him in the auditorium on Tuesday, while others opted to walk out. Around 9:30 a.m., Perry said in his letter, student leaders asked him to speak to the crowd. For the second straight day, Perry invited students into the school auditorium for another conversation, which lasted about an hour. Students returned to class afterward.